Quality, affordable dental plans are hard to come by, but not impossible. 1Dental's discount dental plans offer a budget-friendly option for dental savings. What Makes an Affordable Dental Plan? While 1Dental's dental plans do not work like traditional dental insurance, they often result in more savings at the dentist and are easier to use. Both insurance and discount plans work to lower the costs you pay on dental work, but the process for each plan differs tremendously. 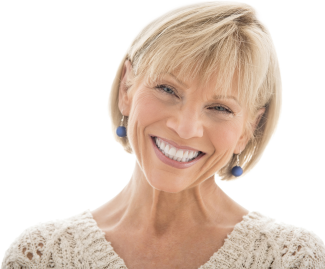 There are many benefits to 1Dental's affordable dental plans - an affordable price, immediate use, no limits on use, no claims or paperwork to file, acceptance of everyone regardless of previous conditions, and paying only for needed dental work. 1Dental's affordable dental plans only cost $179 per year for a family of 3 or more. For individuals, low-cost dental plans start at just $99 per year. With the downturn of the economy, several companies have stopped offering dental benefits. Because of this, it is important that individuals find a cost-effective way to save on dental work quickly. 1Dental's dental plans are an inexpensive way to maintain your dental care and are effective as soon as you sign up. With 1Dental there are no limits to the amount of savings you receive. Save 15-60% on every visit, no matter how often you go to the dentist. 1Dental's affordable dental plans let you pay the dentist directly at pre-negotiated, discounted prices. There are no claims or hassles. No matter what your dental health history, you are accepted. There are no medical history forms to fill out to determine what's included and the price. It is simple. You are accepted! 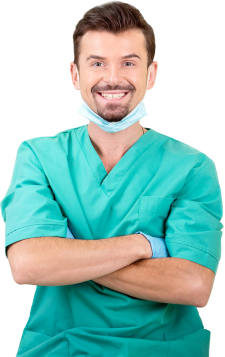 Rather than paying dental costs in advance - in the form of high insurance fees - affordable dental plans allow you to only pay for the dental procedures that you need. There is no need to spend $1,000 on insurance when you only need $500 worth of dental work done. They become part of a network that has millions of members, so they can be assured a steady stream of customers to fill appointment times. Dental office staff (and members) do not have to spend time chasing traditional insurance companies for reimbursements. Members can use their plans right away without dentists needing to contact us, so there is no need to turn patients away because they have not heard back from the insurance company. They do not need to focus on marketing themselves but can focus on what they need to do - improving the atmosphere of the dental office, putting patients at ease and ultimately providing high quality care to their patients. With 1Dental's low-priced plans, members are given access to high quality dental services at reduced rates. 1Dental works with dentists around the country to set cheap prices for dental procedures that are available to members for a low monthly or annual price. These affordable dental plans can save individuals, families and groups both time and money. Show the dentist your member card and they will honor pre-negotiated rates for each dental procedure. Be sure to check out the fee schedule before you go to know how much you will pay! It is easy! In general, the plan works to cut your dental bills in half and occasionally more, making dental work cheaper for you and your family. To get started, simply choose a plan that best suits your needs. Select an option below or call to speak to a 1Dental specialist at 800-372-7615. We are here to help you find the most cost-effective dental plan that will give you the highest savings!